Christmas is really the only time of the year that I miss butter. 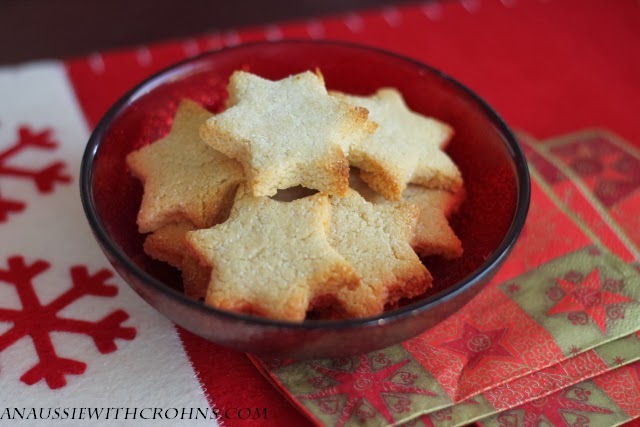 I used to love shortbread made with butter as well as the Christmas Day potatoes roasted in butter. Yum! So to try and get a buttery taste, a combination of cacao butter and coconut oil works well. Melt coconut oil in the microwave. Mix the melted cacao butter and coconut oil into the coconut flour. Mix in the honey, stirring well, breaking up any lumps. Note: the mixture will appear very wet. Wrap the dough into cling wrap and let chill in the freezer for 15-30 mins. 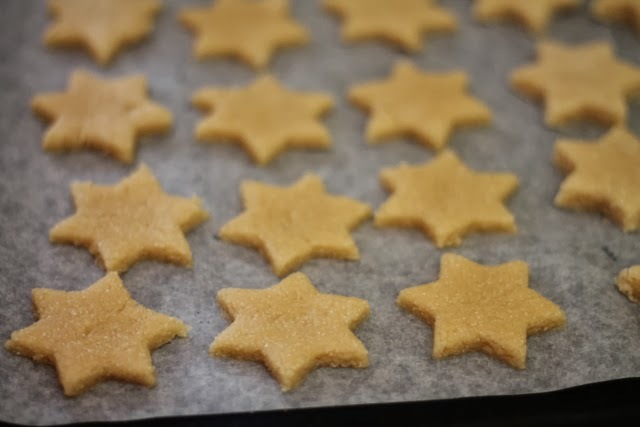 When cooled, roll out between two pieces of baking paper to around 1/4 inch thickness. 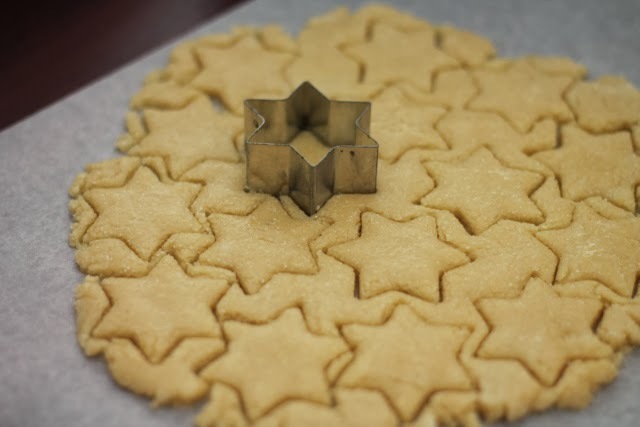 Use cookie cutters to cut into shapes. Have you seen my new social media widget? You can now connect with me via email updates or on Facebook, Twitter or G+.